Being a mother is a full-time job with no personal life because it’s the demand of the motherhood that your kid is the focus of all your activities. The only time she gets free is when the child is asleep and even then she is busy around doing the baby chores and closet organizing is one of them. But we are here to lessen up the hassle of the moms so that they enjoy their motherhood so nice and easy. 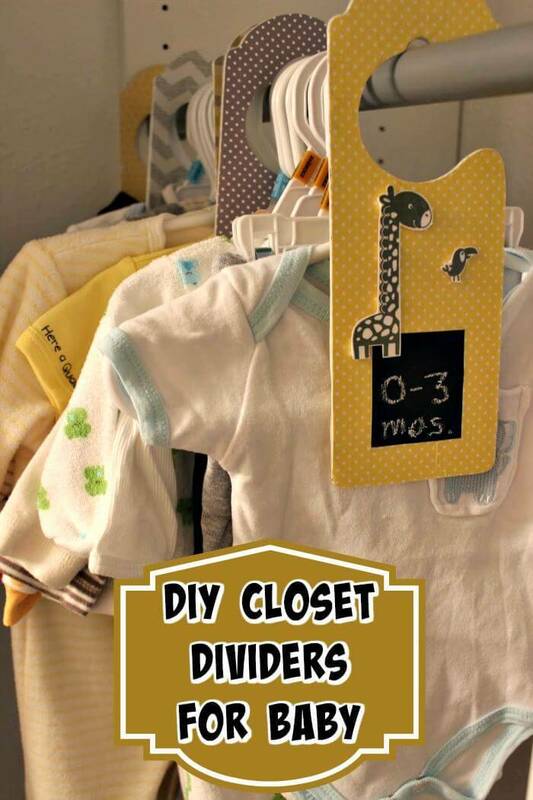 So check out these 20 Easy DIY Baby closet dividers here and make the handling of baby clothes much easier for yourself. 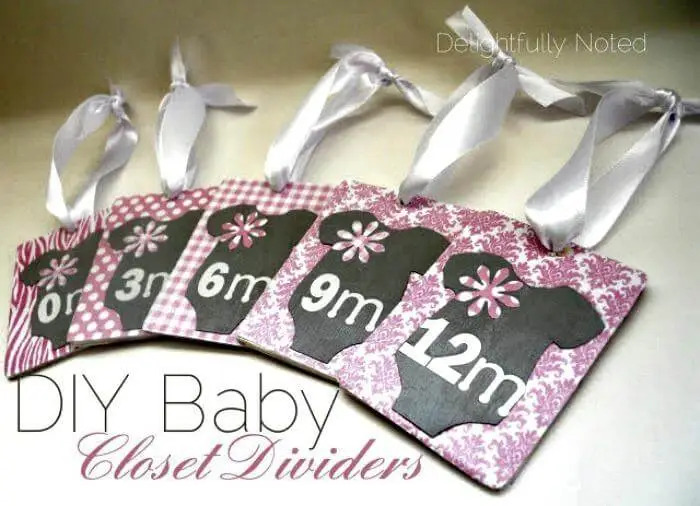 You can simply create all these DIY baby closet dividers at home using the feasible crafting supplies and most of them can find in your home. 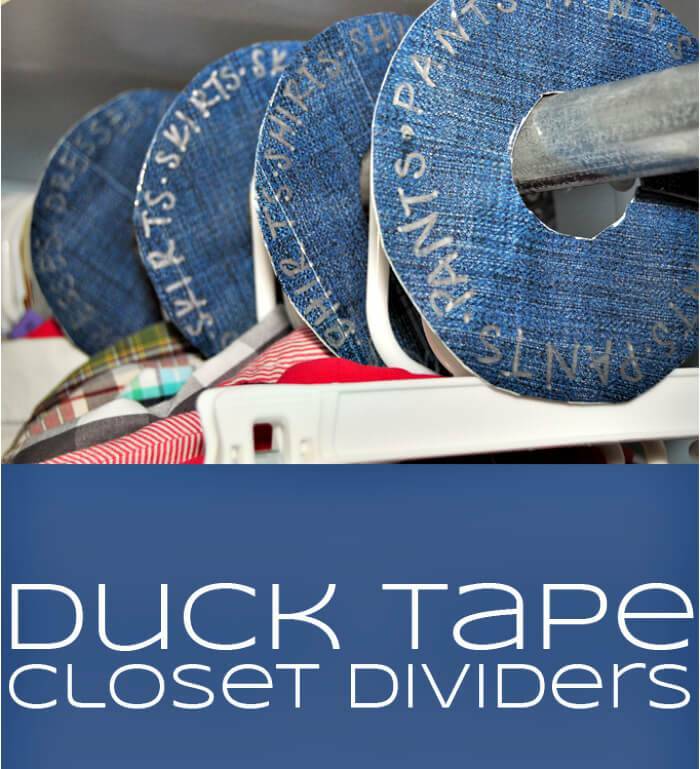 The main idea behind this closet divider collection is to help out the moms with the cloth sorting of the babies according to their age and size so that whenever you open up the closet you know in which section to go and grab a pretty cute dress out of it. Secondly, you would learn to decorate the DIY closet dividers with ribbons, sharpie pencils and scrap paper in different styles and designs. 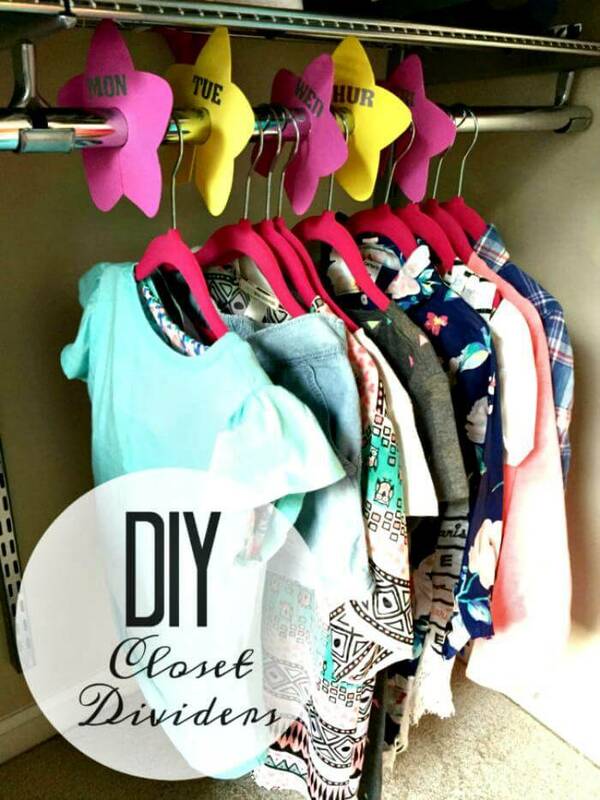 You can use ready made hangers to dress up them or you can simply grab the cardboard, wood or anything solid and round. 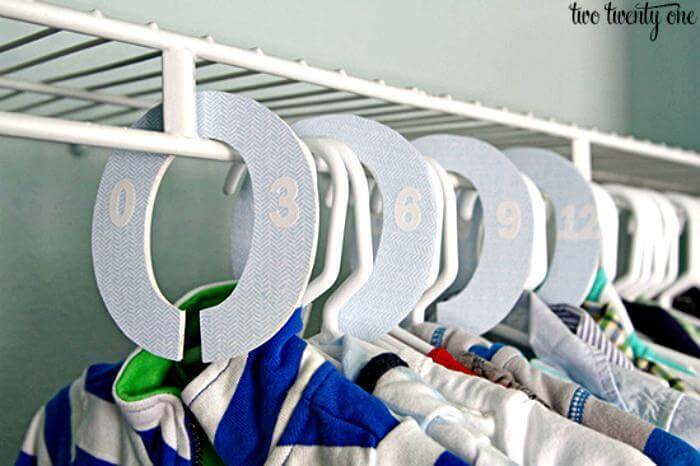 Do mark the closet dividers with the months your kids are heading to so that you can manage the dresses easily in the closet according to the perfect size they would fit in at that particular age. 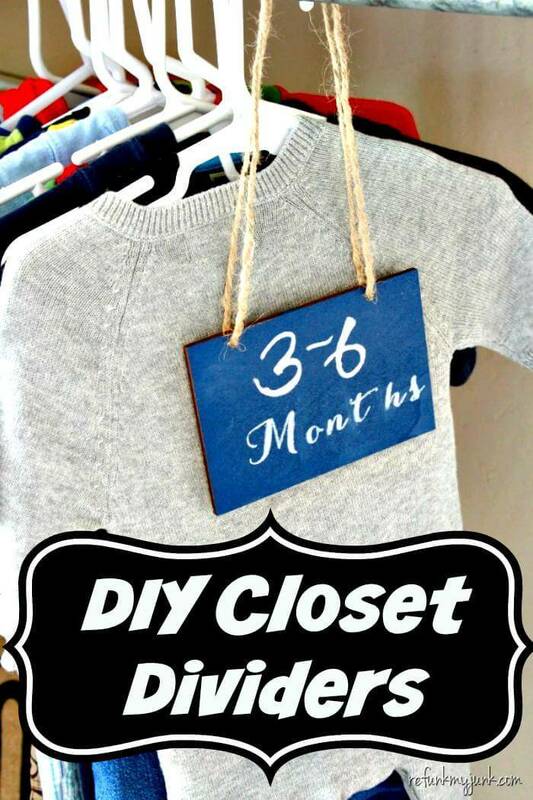 Not only moms, sisters, friends, and aunts all can do these cute and pretty DIY closet divider projects and cherish the most fun and functional gift for their coming bundle of joys on the occasion of the baby shower. And even if you are doing these diy crafts for the first time, it would be all nice and easy for you to get your hands dirty with. 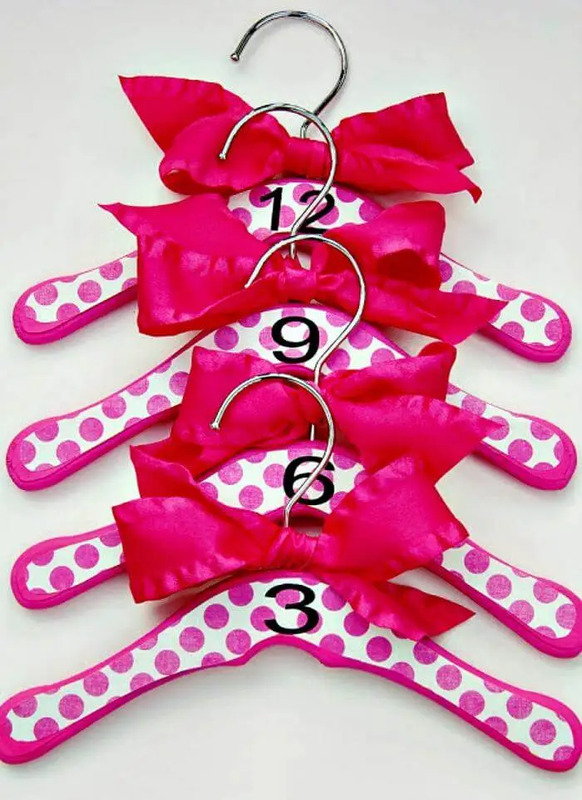 The reason is the given tutorials and pictorial guides leading you towards a perfect and successful hack of your favorite baby closet dividers among the following. So pin the Easy craft ideas you liked the most to include them in your next do to weekend list.